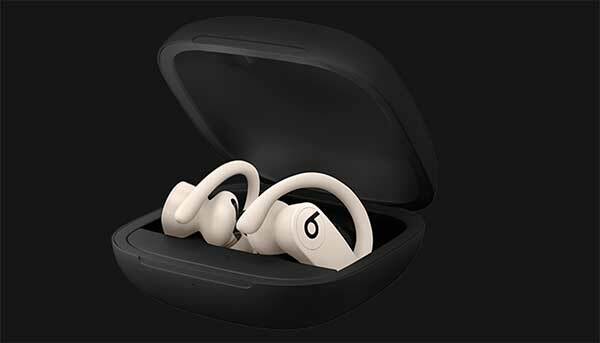 Beats announced their AirPod-like Powerbeats Pro earphones which include two independent wireless in-ear pieces and a charging case. Unlike AirPods, the Powerbeats include a hook that goes around the ear and four different sizes for the tips. One significant difference is the nine-hour licensing time. There are also several buttons including volume, phone call answer and next track. They are prices at $250. Can these be worn by a person with a pacemaker? Wendy: I have no idea. I’ve never heard of that as an issue. There are many wireless earphones out there, and I’ve never heard that any of them pose an issue like that. Leave a New Comment Related to "Powerbeats Pro AirPod-like Beats Earphones Coming In May"